Madeline Beaudry, a University of Maryland undergraduate pursuing dual degrees in biological sciences and geographical sciences, received a 2018 National Oceanic and Atmospheric Administration (NOAA) Ernest F. Hollings Scholarship. The scholarship will provide up to $9,500 per year for two academic years of full-time study. Beaudry, a member of the Gemstone Honors Program in the university’s Honors College, conducts research in the laboratory of Lea Johnson, an assistant professor in the UMD Department of Plant Science and Landscape Architecture. This summer, Beaudry is surveying urban forest patches in the Washington, D.C., area. She collects data on tree and invasive plant species, ground cover, and other environmental conditions. This information will help Beaudry and Johnson better understand how stress from rising sea levels, storm surges and human encroachment affect the health of urban forests. They also hope to learn how to maintain the health of these forests in the face of environmental stress. "I applied for the Hollings Scholarship because I want to have a future career in land management or restoration," Beaudry said. 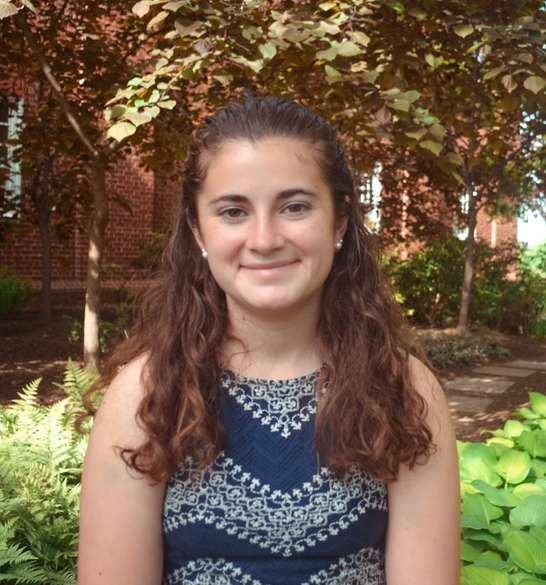 "When it comes time to pick my internship, I hope to find one that has to do with habitat restoration—for instance, in coastal marshes or coral reefs." Hollings Scholars also receive a 10-week, full-time paid summer internship at a NOAA facility between the two years of study. The internship provides scholars with hands-on educational training experience in NOAA-related research, technology, policy, management and education. Awards also include travel funds to attend orientation and conferences where students present a paper or poster, and a housing subsidy for scholars who do not reside at home during the summer internship. In 2018, NOAA awarded 150 Hollings Scholarships. The Hollings Scholarship program is designed to increase undergraduate training in oceanic and atmospheric science research, technology, and education, and foster multidisciplinary training opportunities; increase public understanding and support for stewardship of the ocean and atmosphere and improve environmental literacy; recruit and prepare students for public service careers with NOAA and other natural resource and science agencies at the federal, state and local levels of government; recruit and prepare students for careers as teachers and educators in oceanic and atmospheric science; and to improve scientific and environmental education in the United States.